Being in a fast-paced, stressful work environment, I often look haggard and worn-out by midweek. Considering the amount of face-to-face interaction I have with clients on a daily basis, it is not an ideal situation. I want people to feel confident that I'm on top of my game and able to handle any workload they throw my way. As a result, I began searching for a non-surgical skin care product that not only banishes dark circles and dullness, but also helps fight the signs of aging. Unfortunately, I found most skincare ranges for men to be limited, ineffective, or overly expensive. That was until I discovered Derm Exclusive by Beachbody. Having used several Beachbody products with excellent results over the last few years, I thought I would try their relatively new anti-aging skincare range. Without further ado, here is my Derm Exclusive review to help answer some of your most pressing questions honestly. 1. 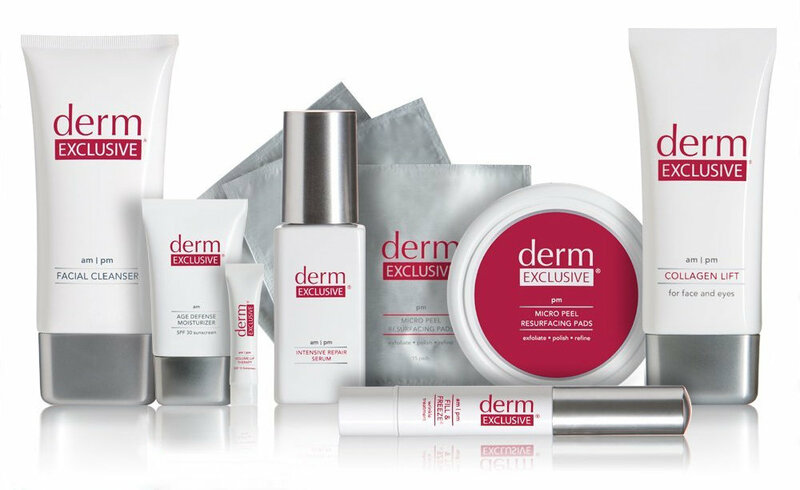 What Is Derm Exclusive? Developed by Dr. Ordon, a renowned plastic surgeon in Hollywood, Derm Exclusive is a four-step skincare system designed to restore your youthful look in just minutes. The products are topical, which eliminates the need for invasive techniques or surgery while providing results comparable to those of in-office procedures. Although there are three Derm Exclusive collections on offer, each kit contains four essential products. This includes the Fill & Freeze Wrinkle Treatment, Intensive Repair Serum, Micro Peel Resurfacing Pads, and Collagen Lift. The Ultimate collection also offers additional products like the Age Protection Moisturizer SPF 24, Volume Lip Therapy SPF 15, and Facial Cleanser. The Derm Exclusive product range includes a potent recipe of active ingredients that help create a fresh and glowing complexion. While the Micro Peel Resurfacing Pads remove dead cells, revitalize your skin, and even out your complexion, the Intensive Repair Serum helps brighten your skin's tone. The Collagen Lift tightens your skin to improve its elasticity and texture, as well as enhances collagen production for reduced wrinkles. The true star of the show, however, is the Fill & Freeze wand. The Fill & Freeze Wrinkle Treatment uses four Micro-Smoothing Peptides that relax the skin's memory. These peptides include Myozinol, Argireline, UGL Complex, and Mytrixyl 3000. This treatment effectively smoothes away creases, wrinkles, and fine lines while increasing firmness and elasticity. The results are almost instant, which is why many people refer to it as "Dr. Ordon's magic wand." Although you can use the exfoliating pads two to three times a week, you should apply the serum and collagen moisturizer twice a day. 3. What Are the Pros and Cons of Derm Exclusive? Every product you ever purchase will have its own set of advantages and disadvantages. Below are some of the pros and cons I found during the process of evaluating, purchasing, and using Derm Exclusive. 4. Should You Try Derm Exclusive? Absolutely! Like any consumer, I want effective solutions. Any other benefit is just a bonus and Derm Exclusive comes with a heap of them. After trying Beachbody's skincare range and seeing the results first-hand, I'm not sure I'll be trying many other skincare products for men in the future. After all, I don't see a need to change what works. If you are looking for a similar solution for your dark circles, uneven texture, wrinkles, and fine lines, I highly recommend the Derm Exclusive range. Even if you start slowly with the 4-piece introductory collection, the kit will give you just enough to test results over the course of a month. With a 30-day money-back guarantee, give it a try---you have nothing to lose but crow's feet, periorbital puffiness, and other signs of aging.